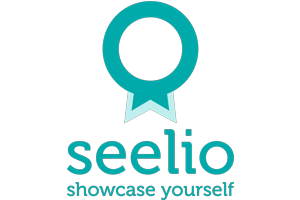 The Ann Arbor-based startup Seelio, which has developed an online networking platform to help students and fledgling professionals showcase their talent, announced this week that it has raised $900,000 in seed financing. Contributing to the round are the Detroit-based First Step Fund, the state-administered Michigan Pre-Seed Capital Fund, and a group of angel investors, including Steve Fireng, president and CEO of Embanet; Bob Dowdell, co-founder and former chairman of the board at Careered; and Lorne Zalesin, former CEO of MyInsuranceExpert. Lee and his co-founders have built Seelio to be a kind of alternative to LinkedIn. Standard resumes often aren’t able to adequately capture the abilities of college students and new grads because students don’t have a lot of professional work experience, Lee says. So what Seelio users can do, for example, is create a page that details a fictional company they created for a business course complete with photos, videos, and information about the company’s business model, potential customers, marketing strategy, and sales goals. Seelio users can also post about their internships and work experience, as well as their other hobbies and passions. Seelio for Educators offers users exclusive activity feeds, membership controls, enhanced privacy features, and custom analytics tools. Lee points out that an increasing number of universities want students to graduate with more than just a transcript, which is where Seelio comes in. “They want a rich body of work they can show a potential employer, and employers really want to see what students have done and how they can add value to the company,” he adds.